Learning How the Commentary Driving Works! Pass Plus and Motorway Driving Lessons Prices! Driving Lessons In East London! Show Me & Tell Me! Applying for Your Provisional Licence? Driving Lessons, So How Long Does it Take? How To Choose A Driving Instructor? Commentary driving is simply giving a verbal running commentary whilst driving. The verbal commentary includes what you see, what you are planning and what you are thinking. High speed emergency services such as the police use commentary driving, both whilst training and in the course of pursuit. What’s the benefits of commentary driving? Essentially it trains you to focus and stay alert, and for many, it’s highly effective. For most, driving becomes a chore. If you imagine when you’re walking, you don’t often pay a great deal of attention to what’s going on around you. A similar lack of awareness and concentration happens whilst driving, and not just to experienced drivers. Learner drivers also suffer from a lack of awareness and concentration. Commentary driving addresses this by engaging the brain into every little details that is picked up by your eyes. For learner drivers, it can not only help with alertness, but enables them to learn driving observational skills at a much faster rate. 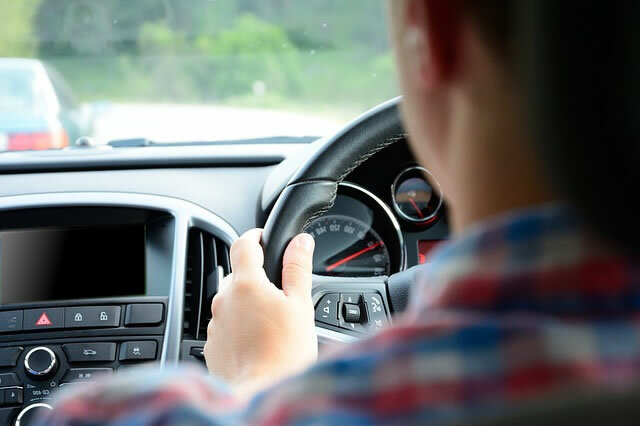 If as a learner driver you are really struggling with the process of driving, or if you have had one or more driving tests and keep failing, learn commentary driving and see if it makes a difference to your concentration, alertness and observational skills. You might be thinking, does it really make too much difference whether you’re speaking things out-loud compared to just thinking them? Thoughts often get mashed and mixed up with other non-relevant thoughts and quite often you don’t even realise it. Commentary driving cuts off any non-relevant thoughts (including those that make your nervous) allowing you to concentrate 100% with the task at hand. Is Commentary Driving For Me? Commentary driving may not be for everyone however. If you are a quiet person and perhaps a bit shy, you may struggle to speak out-loud in front of someone whilst driving and the process may in itself cause you to concentrate less on your driving. How you learn commentary driving depends on what stage you’re at within the process of learning to drive. For a complete novice for example, the person teaching you to drive, or your driving instructor will actually be doing the commentary for you. If you’re further into the learning process, you’ll need to verbally commentate on the driving routines you’ve already been taught. main mirror, left mirror car following closely, ease off gas (to allow following car more time to react). The above is just an example of what to say depending on what you see. Essentially, it’s commentating through the routine, along with what hazards you see (or if it’s clear of hazards) and what course of action you intend on taking depending on what you see. It doesn’t really matter what you say, providing you are seeing the hazards that are there. Try and keep the commentary to short sentences.Use commentary driving throughout your lessons for all traffic situations from moving off and stopping and other complex situations such as junctions and roundabouts, passing parked cars, cyclists and cycle lanes, lane discipline, pedestrian crossings and all the driving test manoeuvres. Incorporate commentary driving into speed awareness by verbally acknowledging road signs and your current speed and also road lines and markings and traffic lights. The more you do it, the easier it gets and after a short while you’ll be doing it without needing to put too much thought into it. Learning to drive is tiring, you will find initially that commentary driving may make you even more tired. This is because your brain is far more channeled to the task of driving. If you do become a little overwhelmed, take a short break before proceeding again. At the start of learning to drive, your driving instructor will perform a running commentary in order to tell you what to do. Some driving instructors may encourage commentary driving from their learners, others may never mention it. It depends on their teaching techniques. If you would like to attempt commentary driving, tell your driving instructor who will be more than happy to assist. Teaching someone to drive can be a stressful experience for all. A driving instructor is of course experienced in this, but as a parent, teaching someone to drive is a learning process in itself. Before setting out to teach someone to drive, practice commentary driving yourself as you drive. You will then find teaching commentary driving a much easier process. See teaching someone to drive tutorial for a guide on how to teach learner drivers. In general, commentary driving benefits most. You may find however that it decreases your concentration and road awareness. It does take time and practice to get proficient at it, but if after 3 or 4 lessons you really feel it is not helping, or even hindering, stop. Copyright © 2019 Amdi Driving School All Rights Reserved.